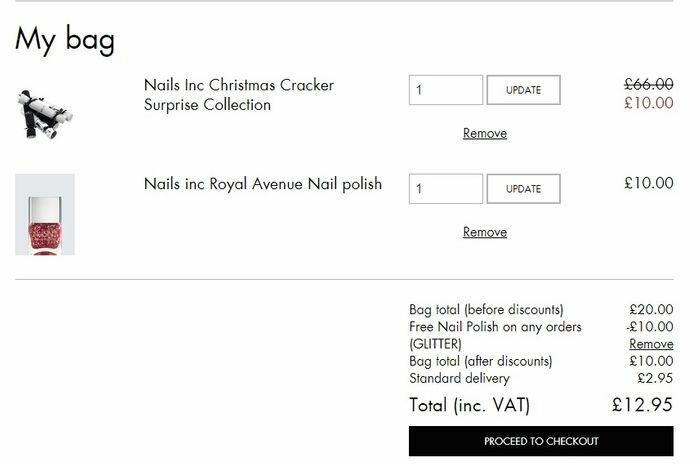 Nails inc Christmas crackers, 6 x 10ml polishes worth £66 now £10. Add GLITTER promo code for a free glitter polish worth £10. Delivery is £2.95. Can also get cashback through quidco on it. What do you think of this Nailsinc deal? Can't seem to use it with the glitter code though. If you become a VIP member, it’s free to join, you get free delivery always, no minimum spend necessary.